Learn how you may win a painting of your pet for free! Details are below. Looking for a lovely giclee? Browse the Fine Art America catalogue below. The Pet of the Week (POTW) contest may be found on the Facebook page: Pet Art by Lyn (Dog Art by Lyn). Click here to be transported to the POTW page. In the subject line of the email, type POTW (and your Pet's name). In the body of the email, type in your full name as the owner. Remember to attach your photo. Multiple entries are encouraged. Your photos will be uploaded to the POTW Facebook page. The best photos will be chosen to become paintings. Once the paintings are completed (typically four photos are chosen to be painted at one time) and uploaded to the Current POTW photo album, people may vote for their favorite by clicking the like button. The painting with the most likes (votes) within the stated time alloted, goes to the owner of the that pet for free. 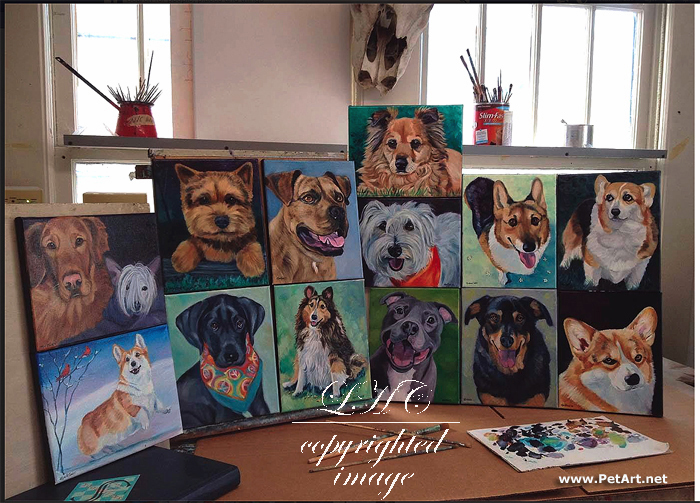 Others that did not win will have a limited time in which to buy the painting of their pet. Photos of all species of animals are welcomed to be entered into the contest. 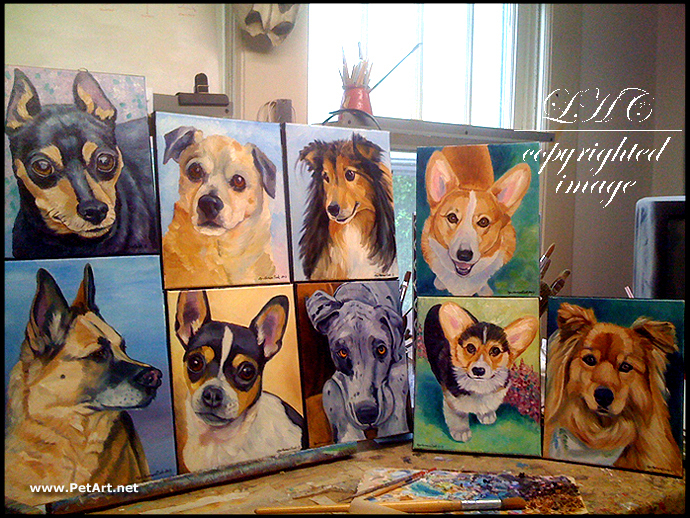 The Studio: Pet of the Week Paintings ready to be shipped.